by Wayne Erbsen and Laura Bosinger. 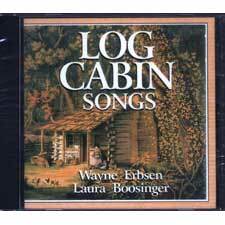 Kick up your heels with punky old-time dance tunes, historic songs and ancient ballads of America's log cabin pioneers. Includes: Darling Cory, The Hound Dog Song, Cabin Creek, Puncheon Floor, Lost Jug in the Cornpile, and many more.